Knightsbridge is one of the most exclusive neighbourhoods in London. 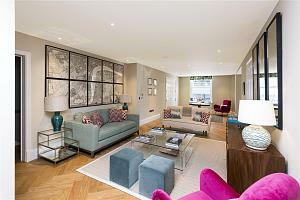 Centrally located, Knightsbridge is a safe area boasting a diverse selection of properties. Its excellent houses and shopping opportunities draw an increasingly global population looking to make a home in the area. There are options for couples and families looking for properties of all sizes. Impressive period townhouses and cream-stucco fronted mansions can be found in Eaton Square and Chester Square. Picturesque mews houses complimented by beautiful garden squares are available in the likes on Motcomb Street and there are conversion apartments and cottage-like houses tucked away throughout the area as well as new-build apartments and penthouses. Most of the entertainment in the area revolves around eating, drinking and shopping; however with Knightsbridge tube station being served by the Piccadilly line, it’s easy to get Covent Garden and the rest of the West End for even more entertainment options. The Star Tavern is an award winning, old fashioned pub on Belgrave Mews. The pub gained notoriety in the 60s when it became the favourite haunt of Bruce Reynolds, the criminal organiser behind the Great Train Robbery. Luckily these days there’s a less intimidating crowd hanging out at the pub. The Sake Bar and Lounge at Zuma serves 40 different kinds of sake in addition to sake cocktails mixed with fresh, exotic juice which makes an interesting alternative to other cocktail bars. On the doorstep of Knightsbridge is the beautiful Hyde Park, with its famous Speakers’ Corner and gorgeous, recreational Serpentine Lake. Hyde Park is especially spectacular around Christmas when it transforms into a Winter Wonderland. The shopping opportunities are fantastic; Harrods and Harvey Nichols regularly draw hundreds of enthusiastic shoppers and London based designers Jimmy Choo and Manolo Blahnik also have stores in the area. The fashionable Pont Street, with its beautiful red brick buildings, is a haven of exclusive boutique shops, restaurants and a top hair dresser. Dinner by Heston Blumenthal serves a selection of historically inspired recipes. As you’d expect from Heston, these creations make for a memorable dining experience. The restaurant holds 2 Michelin stars and is ranked in the San Pellegrino World’s 50 best Restaurants shortlist. The Jeroboams wine shop was originally established as a fromagerie in 1985. They also sold a selection of foie gras, charcuterie and fine wines. As they acquired more stores, the emphasis switched almost completely to wine. They currently offer a wide section of fine wine, whisky and wine tasting sessions and a wine brokerage service. There are excellent educational resources for all ages, including the independent Eaton Square School which offers educational childcare for nursery aged children, Hill House which achieves top academic and sporting achievements, the family run Eaton House School in Belgravia and Knightsbridge School. Knightsbridge’s central location makes travelling around London easy. In addition to numerous Underground Stations, the London Victoria National Rail and Coach station is located nearby. 31 Lowndes Street, Knightsbridge, London, SW1X 9HX. 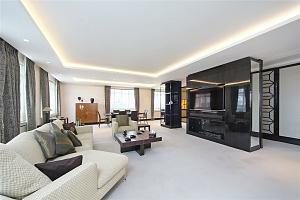 For more information, contact the local property experts in our Knightsbridge branch.